Media pilgrimage has become a booming business in the 21st century. 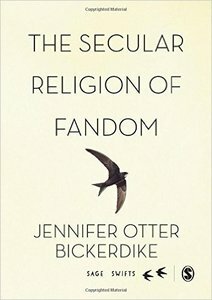 Fans of television shows, rock groups and books flock to places associated with their favorite series, artist or writer, trying to embody and perhaps understand what inspired the beloved piece of work, and, more importantly, to cobble together their own personal identity, seeking meaning in an ever-more divergent and fast-paced world. At the same time, while technology allows for quicker connection on a global level than ever before, participation in organized group activities are dropping at an alarming rate. One of the largest down turns in the US and the UK can be seen in the steep decline of attendance at traditional religious venues. This trend dovetails with the radical uptick in on-line, virtual sites dedicated to pop culture and celebrities, as well as an array of niche-focused real-time tours allowing fans to experience the spaces, places and scenery featured in their favorite entertainment medium. 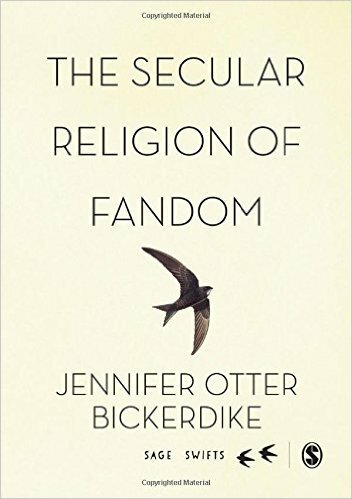 The Secular Religion of Fandom: Pop Culture Pilgrim examines the function of fandom, specifically the visiting of spaces which have been recently deemed worthy of sanctification and a newly elevated status of importance. It examines how such pilgrimages are used as a means for forming and maintaining a common language of culture, creating a replacement apparatus based on more traditional frameworks of religious worship and salvation, while becoming an ever more dominant mechanism for constructing individuality and finding belonging in a commodified culture. Looking at television shows such as The Walking Dead and Game of Thrones, bands like The Stone Roses and Joy Division, and authors like J.K. Rowling and the Bronte sisters, The Secular Religion of Fandom: Pop Culture Pilgrim delves into these issues by examining spaces, fan communities and rituals, providing a unique and provocative investigation into how technology, media and humanistic need for guidance are forming novel ways of expressing value, forging self and finding significance in an uncertain world.